Well, that's Christmas done for another year. We've gorged on mince pies, cheese and lots and lots of Heroes…. I was thrilled that Choclette from the Chocolate Log Blog took part this month, as I know it's always hectic in the run up to the big day. 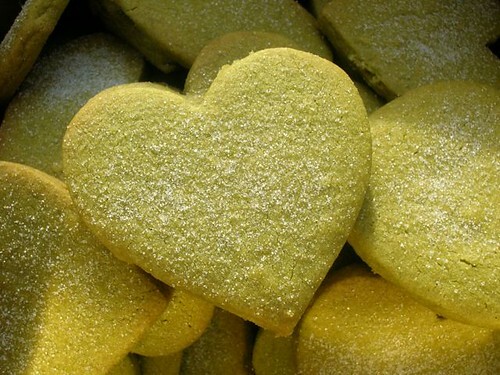 She made some white chocolate shortbread biscuits with flavours such as coffee and matcha tea. The speckled coffee ones were really popular, she says. I bet they were. 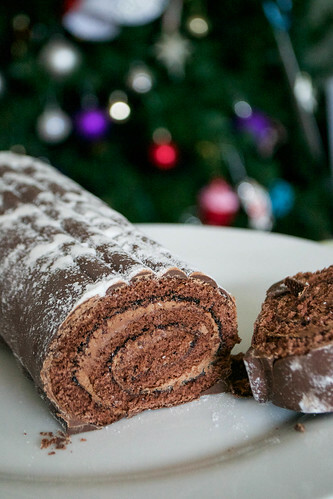 A bit bored of the usual chocolate/buttercream Yule Log, I had a look to see what other Yule Logs had been devised by clever folks on the internet. There were coffee ones, peppermint ones and chocolate and Amaretto ones. I also talked about how a slab of Yule Log plays a part in a little celebration ritual in our house, as we start to say goodbye to the previous 12 months and look forward to the next. Thank you Choclette for linking up this month! 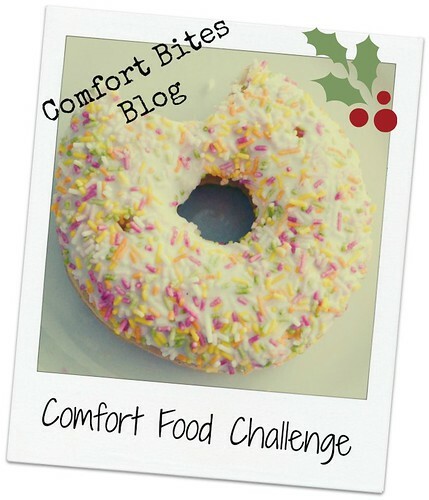 A new topic for our monthly celebration of all things comfort food will be posted soon - look out for the post if you'd like to link up. Well at least there were two of us ;-) Your log looks perfect. I find the rolling quite difficult to master. Great picture too.